Danger and betrayal… Secrets and enchantment… Third and final book in the bestselling prequel series to The Mortal Instruments, set in Victorian London. A net of shadows begins to tighten around the Shadowhunters of the London Institute. Mortmain needs one last item to complete his plan. He needs Tessa. But Jem and Will, the boys who lay equal claim to Tessa’s heart, will do anything to save her. 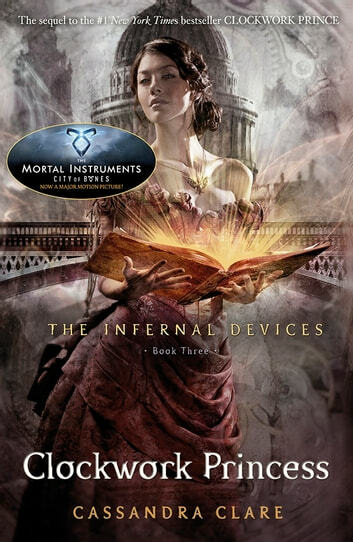 Read all the sensational books in The Shadowhunter Chronicles: The Mortal Instruments, The Infernal Devices, Tales from the Shadowhunter Academy, The Bane Chronicles, The Dark Artifices, The Last Hours and The Shadowhunter’s Codex. Now i know why all the herondale family members have a mark! 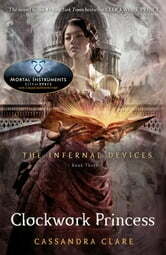 Loved the whole of the infernal devices collection! Brilliant. The best ending ever... all the books are brilliant.